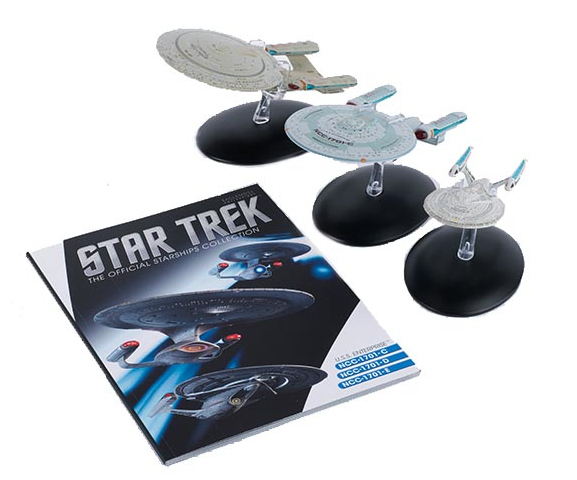 Eaglemoss has announced plans to offer a new subsidiary line of starships based upon some of the “mirror universe” episodes connected to the Star Trek shows. The inaugural product will be the ISS Enterprise (NCC-1701), although no date has been set for its release. In other matters, the Company has put together its first multi-pack gift set, just in time for the brisk holiday shopping season, and featuring three of its most recent releases (ST0046, ST0048 and ST0050). 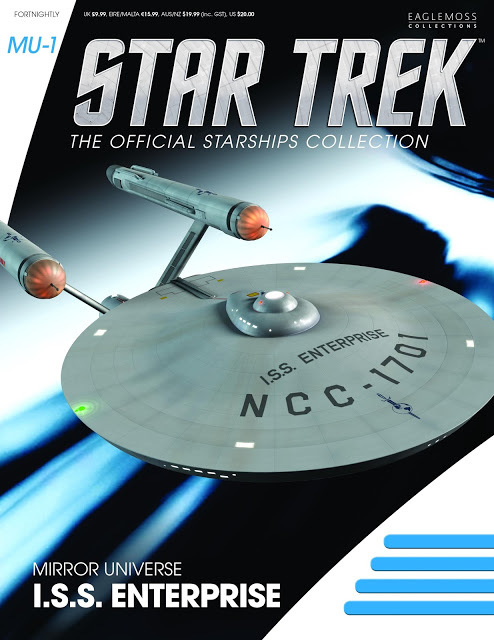 Instead of three saddle-stitch collector magazines, the set will come bundled with a thicker perfect bound edition, pooling together information found in all three individual Enterprise infotainment tales. Other similarly conceived gift sets are no doubt in the making. Building upon the success of their Star Trek starship series, Eaglemoss has officially announced that their fourth special edition installment will be based upon a Klingon D4 Class Bird-of-Prey. 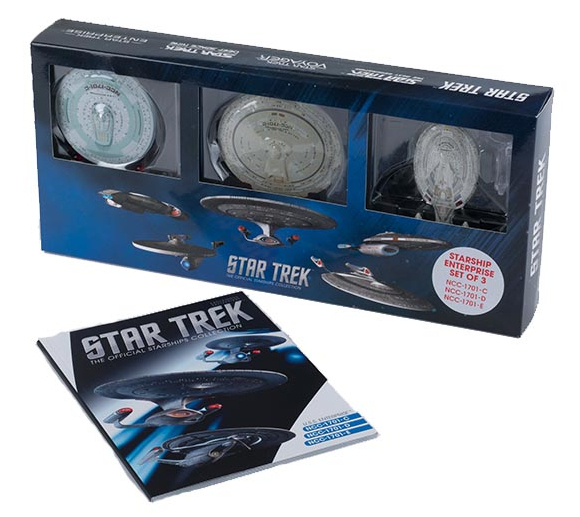 Larger than the standard ships in the series, this one will come with a specially constructed display stand, box, full-color magazine and other paraphernalia that are designed to bring this issue to life. Priced at just $49.99, look for the Bird-of-Prey to swoop down on collectors this July. Word from the neutral zone indicates that a new fleet of Eaglemoss Star Trek starships are expected to uncloak in November. According to our distributor, #20-#31 should be hitting shelves just prior to Thanksgiving, all accompanied with their full-color, multi-page magazine. Priced at just $22, these spectacular replicas have become instant hits in the Trekkie universe, with loads more to come well into 2015.